While football continued coming home, the Fylde coast’s Northern Premier League cricket clubs were travelling away to Cumbria, from where only Blackpool returned victorious. They bounced back from their first defeat of the season with a five-wicket win at Barrow but remain two points behind leaders Netherfield, who were six-wicket victors over Fleetwood. The shock of the day came at Penrith, where a home side whose only previous win had been over rock-bottom Preston defeated high-flying St Annes by 56 runs. While other leagues offered early kick-offs or two-hour breaks between innings to allow players to share in the rejoicing in Russia, the NPL persisted with its customary 1pm starts. 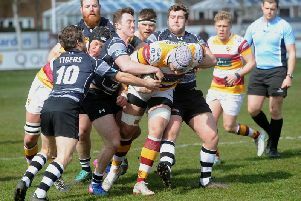 And Blackpool were rewarded with a return to winning ways after losing both top spot and their unbeaten record to Netherfield seven days earlier. Struggling Barrow put up a fight at Ernest Pass, though, after winning the toss and amassing 209-5. This was down largely to wicketkeeper Grant Roelofsen’s 101 from 115 balls, including 12 fours, and his second-wicket stand of 141 with opener Toby Mowat, whose 69 off 120 featured eight fours and a six. Matt Grindley managed to slow the hosts down with his 3-58 from 17 overs and Blackpool were able to wrap up a five-wicket with with nine deliveries remaining at 210-5. Again the second-wicket partnership was key, involving Josh Boyne (48) and opener Matthew Houston, whose 74 was a season’s best. Andy Furniss then saw Blackpool home with an unbeaten 34. Blackpool’s hopes that Fleetwood could do them a favour at nearby Netherfield were dashed, though Dean Bell’s side made a match of it by setting a target of 237-4 after being inserted. Professional Neels Bergh led the way with an unbeaten 101, his second century of the season coming from 105 balls and including 12 fours and a six. The South African put on 134 for the fourth wicket with wicketkeeper/coach Liam Castellas, who struck six fours and three sixes in his 67 from 93 balls. Fleetwood then took the first Netherfield wicket with just a single on the board but their second only arrived 174 runs later. That partnership involved opener Josh Dixon (92 from 126 balls) and Josh Boyle (82 from 114). Both were dismissed by Jeremy Davies on his way to 3-27 from just four overs but the champions were well on their way to closing out a six-wicket win at 241-4 with 2.2 overs remaining as Fleetwood slipped into the lower half of the table. Few would have expected St Annes to suffer only their second loss of the season at second-bottom Penrith but they came up against an inspired Ashwin Hebbar. The opener scored 126 out of the hosts’ 215-8 after choosing to bat, Tom Higson finally dismissing him en route to 4-66 from 17 overs. Hebbar then polished off the St Annes tail to return figures of 4-31 from 10.4 overs as the visitors were pavilion-bound for 159 after 47.4. On a day of solid second-wicket partnerships, the one between Andy Drake, with a season’s best 54, and in-form wicketkeeper Richard Staines (42) gave the St Annes chase some momentum, though no-one else could manage more than 15. St Annes remain third but now trail Netherfield by 15 points. Lytham Cricket Club’s four-match unbeaten run ended with a 28-run defeat away to Liverpool Competition leaders Ormskirk. The hosts chose to bat and were able to declare at 213-8 after 55 overs thanks largely to Andrew Baybutt’s 83. The opener’s 129-ball innings included eight four and a six, and Baybutt helped put on 67 for the fifth wicket with Luke Platt (52). Captain Ben Saunders bowled unchanged for 27 overs but Lytham’s most successful bowler was Anthony Mulligan, with 4-43 off 11. A shock looked to be on the cards as Lytham’s third-wicket pair amassed 103, Tom Jefferson leading the way with 78 from 96 balls (13 fours) and Matthew Taaffe adding 43. However, the seven men who followed them in could manage only 19 between them as 145-2 became 151-5 and Lytham later lost their final five wickets for 11 runs. Tom Hartley removed six of the top seven and finished with 7-69 from 19.3 overs as Lytham were all out for 185 in 52.3. Ormskirk are five points clear of Northern at the top of the ECB premier league, while Lytham slip back into the lower half. Daniel Jardine hit 16 fours in his 133-ball 92 as South Shore won at Eccleston in the Moore and Smalley Palace Shield, a result which cost the Chorley side their top-four spot in the premier division. However, Great Eccleston were no match for leaders Longridge, who piled on 291-6 to triumph by 154 runs. Urama Arbrar’s 83 helped Fylde to overtake Kirkham and Wesham in division 1A by winning their derby encounter in Poulton by 31 runs. Freckleton stay top despite losing to third-placed Mawdesley, though Norcross are back in the bottom two following a home defeat by second-placed Standish. Moore and Smalley Palace Shield Premier Division: Eccleston 157 (T Wilkinson 46, H Pazeer 3-26, T Davis 3-50) lost to South Shore (158-8, D Jardine 93, MR Atkinson 4-46) by two wickets, Kendal 134-3 beat Croston 133 by seven wickets, Lancaster 257-8 beat Torrisholme 63 by 194 runs, longridge 291-6 (D Wilkinson 70, T Howarth 53no, P Booth 4-90 ) beat Great Eccleston 137 (P Booth 54, I Simpson 4-49, R McDowell 3-36 ) by 154 runs, Penwortham 164-7 (N Patel 33no,D Howard 4-53) beat Thornton Cleveleys 160 (N Patel 5-49, A Billington 3-36) by three wickets, Vernon Carus 214-8 beat New Longton 208 by six runs.